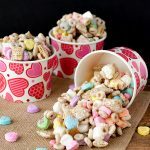 The perfect Valentine’s Day Snack Mix to go with Valentine’s Day Puppy Chow! Planning a Valentine’s Day Party? Or a birthday party that is in February? 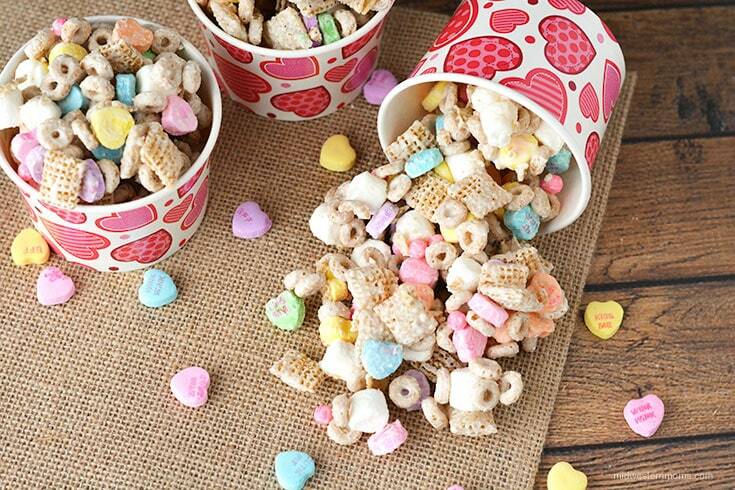 This snack mix would be a huge hit! Bonus Points: It is easy to make!!! *See printable recipe card at the bottom of the post to get full details. 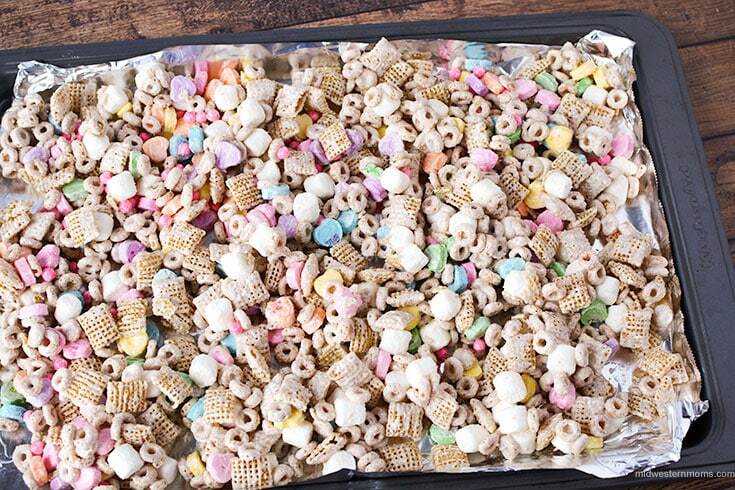 In a large mixing bowl, stir together rice squares, toasted o’s and mini marshmallows. After melting the candy bark, pour into the large mixing bowl. Stir until cereal is covered. Then pour in the candy hearts and pearls and stir. The lay it out on a foil-lined cookie sheet to harden. Once it is hardened, you can tap the sheet on a hard surface to help break it up to serve. 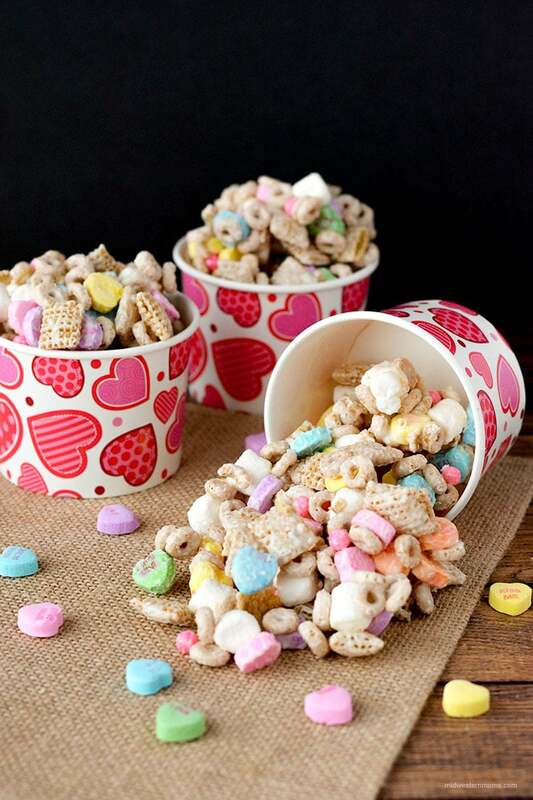 A fun snack mix recipe perfect for Valentine’s Day. 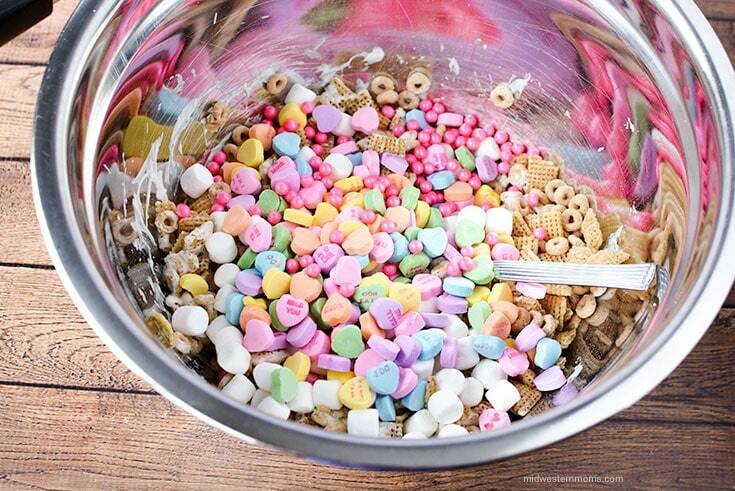 In a large mixing bowl, add rice squares, toasted o’s and mini marshmallows. Stir to mix well. Melt white candy bark in a saucepan over low heat stirring constantly. 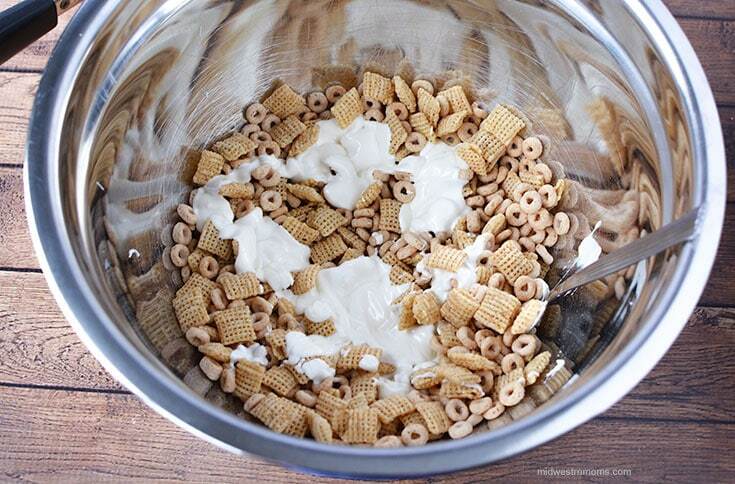 Remove from heat and stir into cereal. Mix well to coat and combine. Add candy hearts and pearls and mix well. Pour mix onto prepared pan and spread out. Let set to harden. When harden, break apart with your hands or gently “drop” the baking sheet onto the counter top to break apart into smaller pieces. Store in an airtight container or sealable bag.